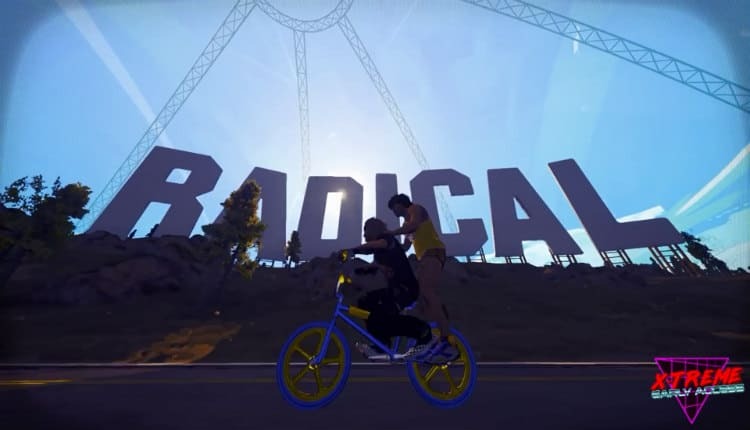 Radical Heights Brings Battle Royale to the '80s | Nerd Much? Another day, another battle royale title headed our way. Boss Key Productions, following the disappointing showing from Lawbreakers, are jumping into the hottest genre in gaming. They’ve announced Radical Heights, an ’80s inspired battle royale game. You can see what Boss Key are attempting with their take on a battle royale. The 80s flair is combined with the feel of classics like Running Man or Smash TV. It’s supposed to be fun, but terrifying in a way. 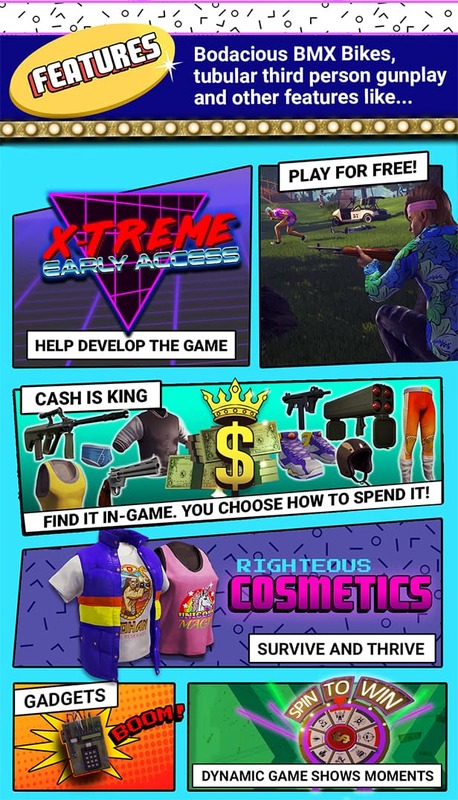 In Radical Heights, it’s all about cash, cash, cash. Throughout the game’s map there are numerous ways to earn funds. Killing opponents is an obvious choice. So too is winning the game. But you can also find hidden cash as you destroy objects. And there are game show events you can encounter too which can win you so dough. As you earn your money, you can decide to immediately spend it on item filled vending machines. Or you can deposit it in the world’s various ATMs for later use on cosmetics and such. If you die with cash in your wallet, you’ll be penalized a death tax, but still keep the majority of it. However, if you go on to win the round, you’ll double whatever you so bolding carried around. The title certainly appears to carry a sense of levity to it. The setting is inspired by Southern California, and the game show loot drop dynamics are a fun twist. The thought of riding on pegs while my buddy peddles a BMX bike is absurdly hilarious. Radical Heights is landing on Steam Early Access tomorrow free of charge. There will be a Founder’s Pack available for $14.99 for those that want to splurge. Within it comes over 20 cosmetic items to choose from, 1,000 Rad Gems, $10,000 of in-game cash, and a permanent 10% cash boost for your career in the game.